XCell’s Astrocyte Induction Pack contains serum and animal product. We have also developed a serum-free animal origin media that is available as a custom formulation. Cells grown in our catalogue Astrocyte induction medium can be transferred to our custom serum free meadia reliably and with little stress. Our media therefore allows for a seamless transition from research grade media to compatible clinical grade media. XCell’s Astrocyte Induction media can be used on NSCs to create astrocyte precursors. 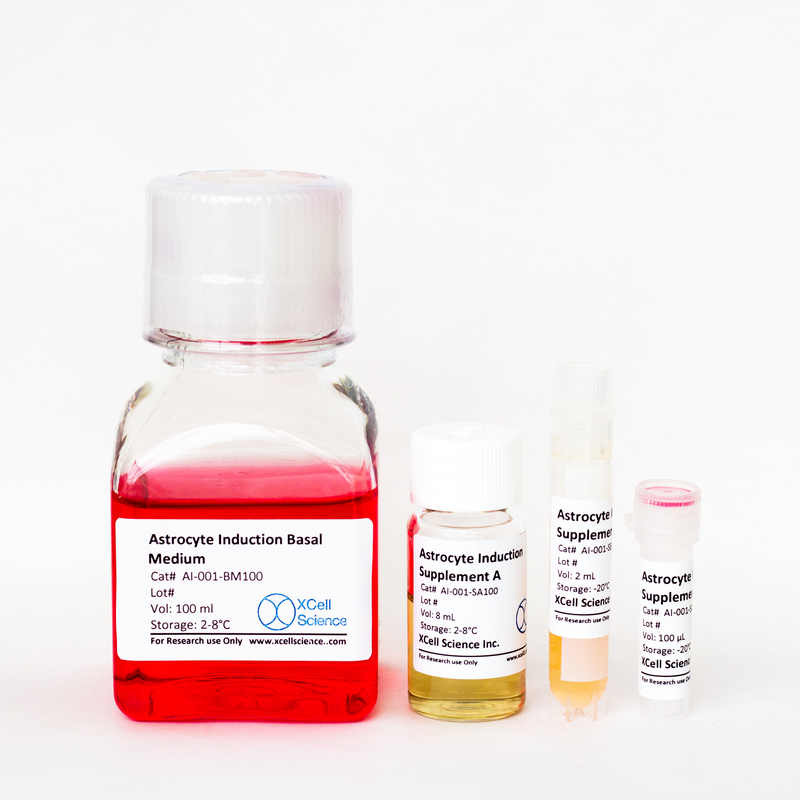 Use our Astrocyte Maturation Pack to mature the cells. Once matured, cells can be maintained in adherent or suspension culture using the same maturation media. Please refer to our resources for protocols using our media and cells.